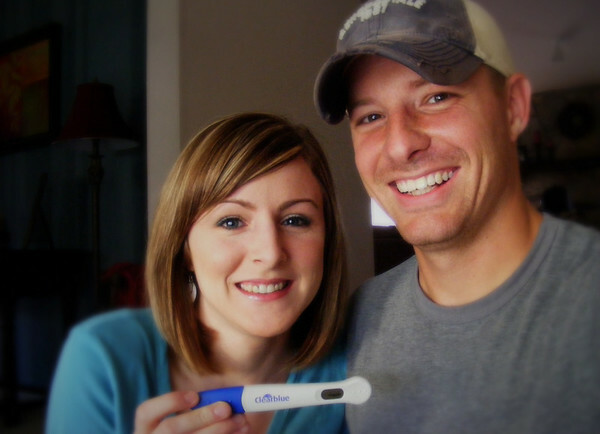 A Journey to Conception: We're pregnant!!! Praise God for all of the wonderful things HE does! He has big plans for this baby or babies!! The journey we've traveled to get to this point is so fresh and real, but I know there is a reason for it all. I am so very thankful he has heard our prayers and will keep praying for a healthy pregnancy. This is by no means over - we've only just begun another chapter. In fact, I suppose you could say we're not even out of the woods yet with infertility, but I just need to take some time to be thankful for how far we've come and to have faith that He will get us through this next stage safely. Our 1st beta (5dp6dt) on Tuesday was 21 which was great. At this point, they said they look for it to be 5 or greater. Our second beta (7dp6dt) was today and it was 69!! They were looking for it to at least double, so we're right on track! Our due date, as of now, is April 30, 2010, right near my husband's birthday! Being truthful, we actually knew we were pregnant yesterday. I know, I know. We weren't going to try and find out until our second beta. And, technically, we didn't. Instead, the information was blurted out without us asking. I had e-mailed the clinic yesterday afternoon asking them if we could call them to get the results today, instead of them call us. I don't think she really read my e-mail, so Jay had to call to get it straightened out. He no more than finished explaining that we wanted to find out "together" and that's why we wanted to call, and she said "your first beta was 21! you're without-a-doubt pregnant!" Yeah, crazy huh! I thought that she might have said something and asked him if she did. He called me on my lunch and said "yeah, she just blurted it out. want to know?" Anyway, that's when I lost it. Totally cryin like a baby. Especially considering that earlier in the day I had been on my clinic's message board, watching the other ladies report their 1st beta and while I was SUPER happy they were getting positives already, I could only think that it made our chances just a wee bit less. I know that it was a dumb thing to think and that I shouldn't have allowed myself to go there, but I guess I couldn't help myself at the time. Needless to say, the fact that we ended up getting the news yesterday after all actually worked out nicely to ease my mind. And, this morning, I did a digital HPT that came out "pregnant"! That REALLY made me happy. Other than the fact that I wish I could have been with Jay when we got the first bit of news, vs over the phone, I thought it was super cute that, after I got back to work, he had sent me an e-mail that said "my stomach's churning and my hands are shaking... still... hours later". :D I'll never forget the night before yesterday when when we're lying in bed and he says to me, as matter of fact as can be, "I'm ready to be a daddy". So precious! I'm sooo very thankful that is now going to be a reality! Thank you, thank you for all the prayers. I know God heard each and every one of them. I would be beyond thankful if you continued to pray for a healthy pregnancy. Our first ultrasound will be Tuesday, Sept 1st at 11:30. We should be able to confirm one or two babies at that time, and we might even (if we're lucky) get to hear the heartbeat. Goodness, maybe it will REALLY set in then! One more thing and them I promise I'm done... :) perhaps it's me making things up, but I swear I've noticed "symptoms", which as been really awesome that I can already connect with our baby(ies) in this way. Here are all of the things that have seemed "different" to me. Sunday (3dp6dt): Subtle pinches in uterus - 1 x in the afternoon about a series of 6 about 2-3 seconds apart and then again in the evening while lying in bed. Monday: WAY more hungry than normal. Ha, probably just me on this one, but great that I might already be able to "blame" it on the baby(ies). lol. Tuesday (5dp6dt): First beta drawn at 8am. Result - 21! Pinches in uterus again when I woke up, this time a bit stronger and more obvious; by the evening, a slight bit of heaviness like AF, but very subtle. Wednesday: By late afternoon into evening, heaviness like AF coming on - not as strong as a typical AF start, but still similar. Some minor AF-like cramping in the PM too. Thursday (3dp6dt): Second beta drawn at 8am. Result - 69!!! I am officially 3 weeks and 6 days along (This site is great for figuring that out, by the way. You just enter in your ER date [mine was 8/7/09] and it tells you TONS of stuff). So far, this afternoon I've felt some of the heaviness again and more subtle cramping. Nothing severe, but noticeable. I know I'm fortunate to have never miscarried (my heart goes out to all that have, I can't even imagine) and that I definitely am looking at these "symptoms" in such a different light. For now, I am going to continue to let myself enjoy each and every thing about this pregnancy and try to stay as positive as possible, for us and for our baby(ies), of course! YIPPEE YIPPEE YIPPEE!!!! Oh the photos are fantastic!!!!!!! Charles and I are so very happy for you guys!!!!! I have stupid happy happy joy joy tears for you guys!!!!! Can't wait until Sept 1 to find out if there's one or two...... :-) Fantastic numbers BTW!!!! And I'm loving your symptoms already!!!! YEAH!!!!!!!!!!!!!!!!!!!!!!!! Congratulations!! :o) I'm so so excited for you guys! You've definitely worked hard for this...so enjoy it!! Can't wait to keep hearing all the updates!! Keeping you in our prayers always! YEAH! I just did a big ol' cheer for you at my house! I was thinking about your beta test this morning. I AM SO HAPPY FOR YOU!!!!!!!! May God bless you and your husband and your belly!!!! Please keep updating us! I want to know more!!! My favoritist cycle buddy!!!!! I'm so extremely excited for you both!!!!!!!! I'm praying that we have ourselves some icky-sticky beanos. That's so funny that they 'slipped' and gave you the positive much like Peggy did for me. I was so taken off gaurd to find out yesterday. Symptom-wise, I'm feeling QUITE symptomatic for sure. Lots of pinching/zinging/cramping. I'm definitely 'feeling' my c-section scar. And I'm so freakin' bloated I look at least 4 months preggo. There's not way I'm going to be able to 'discreetly hide' this pregnancy. I'm huge! YAY! 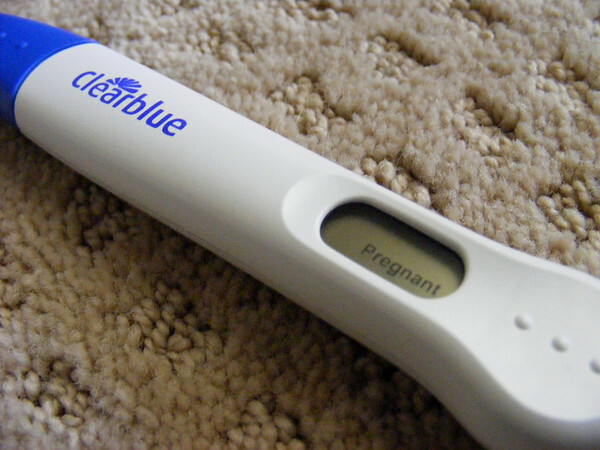 You're pregnant, congratulations! What wonderful news...I'm so happy for you! Sending you a huge hug! Congrats to you! Its 4:20am in phx and I'm sooooo restless. Exhausted but can't sleep. My belly is so bloated and my emotions are completely off kilter. I am 2 weeks post ovulation and I just feel funny. I googled my symptoms and found your blog. Love it and I'm so happy for you. I think I wanna run to walmart and get a test...........hmmm.................yep, I might just do it. Thx for the inspiration, and again, Congrats! Congratulations, I am so pleased for you both!! I've been checking your blog out every day since Sunday (No frozen embabies) hoping for updates..was so shocked and happy to see "We're pregnant"! I'm due to start IVF next month and your blog has been such a comfort to me (yes even the bits about the needles lol). Although I'm in Scotland and some of my medication and protocol may be different, I'm hoping the outcome with be the same! Hooray!!!! Congratulations! I am so happy for you. HOORAY!!! I am so happy for you. I have been following your blog (lurking I guess?) for the past 2 months, and I was addicted because you are my age and going through your first IVF (my first one will be in October). 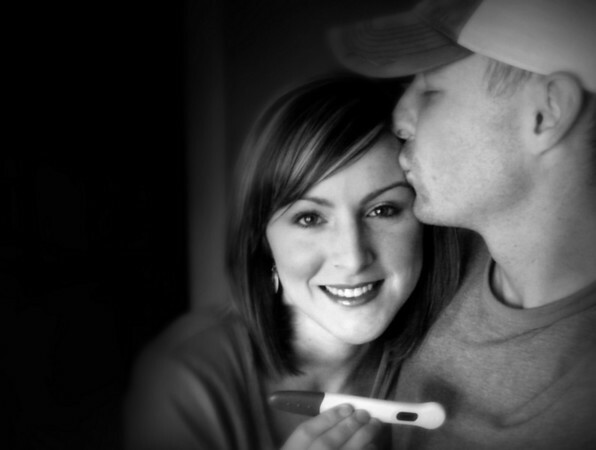 I was so glad that you posted so many details about the IVF process. I had never heard anything about egg retrieval (like how you feel afterwards) before your blog and always wondered. Also I had no idea they actually burrow (to some extent I guess?) the embryos into your lining and that they can take an ultrasound of that. I am so hopeful we will get a positive on our first round too! Can't wait to hear about your first US! Congrats!! God is so good! I am wishing you and your DH a Happy and Healthy 9 Months!!!! Yay! Congrats! I'm so happy for you guys! I know this post is YEARS old; however, it's never too late to congratulate. CONGRATULATIONS!!! As someone entering her 4th ovulation induction cycle and for the first time, using Bravelle, I understand how the 'process' can be. You were prayerfully patient and it paid off!!! CONGRATS!! !